If you want to know about Jackie Roe’s involvement in tennis, there’s no reason to ask about it. Just look to her quilt. 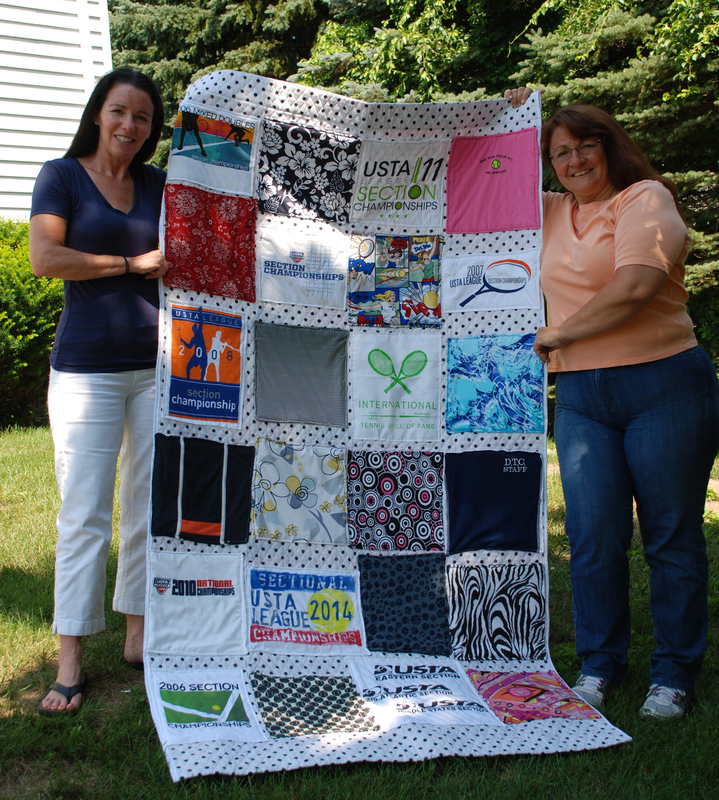 Roe, an avid player and volunteer who also works in the tennis industry, recently shared with Middle States one of her most prized possessions: a tennis-memories quilt sewn by her sister, Janice Mori. The quilt incorporates shirts, skirts and outfits from various tennis championships, matches and events over the past several years. Roe, who works in Delaware, said the memories on the quilt range from her first-ever Section Championship to trips to nationals. Mori, who has been plagued by back troubles since her teens, often attends Roe’s matches and has also made quilts for many of Roe’s friends. Have a story to share about your life in tennis? Email NetPLAY@ms.usta.com.